Good striking is a joy to hear - how can you achieve it? You need more than good bell control. You need to develop a good ear so you can detect and correct tiny errors before anyone listening outside notices them. Now, thanks to modern technology, you can develop your listening skill at any time, whatever your level of expertise, and without the distraction of bell handling, catching the rope, or other ringers' mistakes. !Strike lets you see how good your listening is, and helps you practise to listen more accurately. Whatever level you are at, !Strike can give you exercises that are not too easy and not too difficult. It repeats the same sound patterns as long as you need to focus on them in order to work out what is happening. It uses clear natural bell sounds and it gives instant feedback by showing you where the bells are actually striking. It is very easy to use. You can have a single error to find. You can make it bigger if you can't hear it at first, so you never have to 'give up'. You can always get there in the end, so you always learn something. It's a game where you always 'win'. You can be 'the tower captain' with a simulated band of ringers, and one or more bell not striking correctly. Click the buttons to tell each bell to ring earlier or later, at handstroke or backstroke, until you are satisfied with the result. Then look to see how well you did. !Strike shows you where they started and how much you improved them. !Strike can ring from 4 to 16 bells. 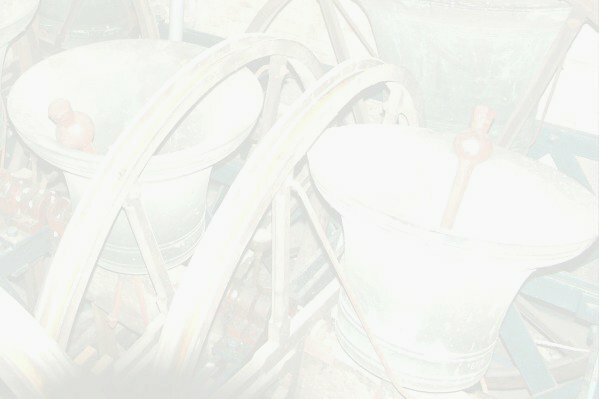 You can make the bells sound heavy or light, and you can vary the speed of the ringing. As you increase the difficulty, the challenge rises. It can become addictive. To add that extra spice, !Strike scores your progress. The more difficult the task, the quicker you complete it and the better the result, the higher your score. !Strike even has a league table, so you can compete against your own previous performances or against your friends. Who said bell ringing was less exciting than video games? All controls and displays are clearly laid out and easy to understand. You don't need to know anything about computers - just point and click. !Strike provides built in, real time Help on all controls, and comes with user notes so you can get the most out of it. You can use !Strike by yourself, in a group or as a tutor. See some screen shots . You can run !Strike on a Mac, Linux or Windows computer using an emulator. The RISC OS Open emulator is free to download – for Mac – or – for Windows . Or you can but the package on a USB stick for £10 . I hope soon to be able to offer a bundle of !Strike together with the emulator that you can install together. !Strike costs £10 . If you would like a copy you can either send a cheque for £10 to: John Harrison, 2 Murdoch Road, Wokingham, Berks RG40 2DA or e-mail me and I will arrange for you to pay by bank transfer. My e-mail contact details are here . See the article I wrote in 1999 !Strike the killer app?